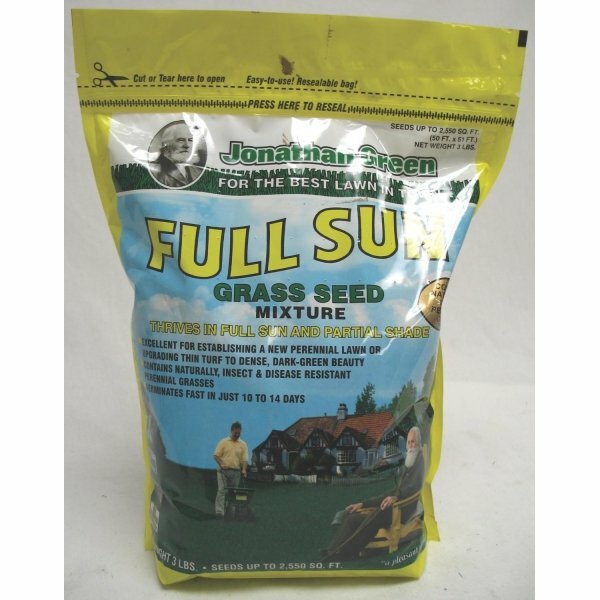 This high quality grass seed mix is made with endophytic grass varieties that help deter insects from damaging your lawn. High quality and looks great for a long time. Great for use in areas that get full sun coverage. Available in several sizes. 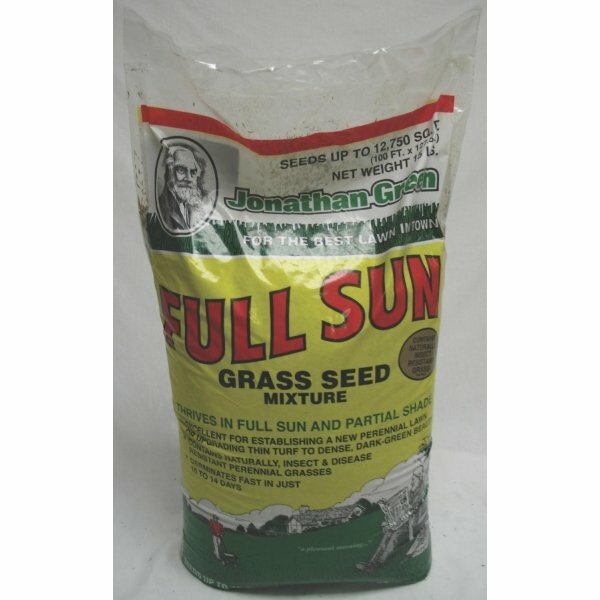 Full Sun Grass Seed has different options and/or variations, please choose below. This product cannot ship to AK, AL, AR, AZ, CA, CO, GA, HI, IA, ID, KS, LA, MN, MO, MS, MT, ND, NE, NM, NV, OK, OR, SC, SD, TX, UT, WA, WY due to state restrictions. 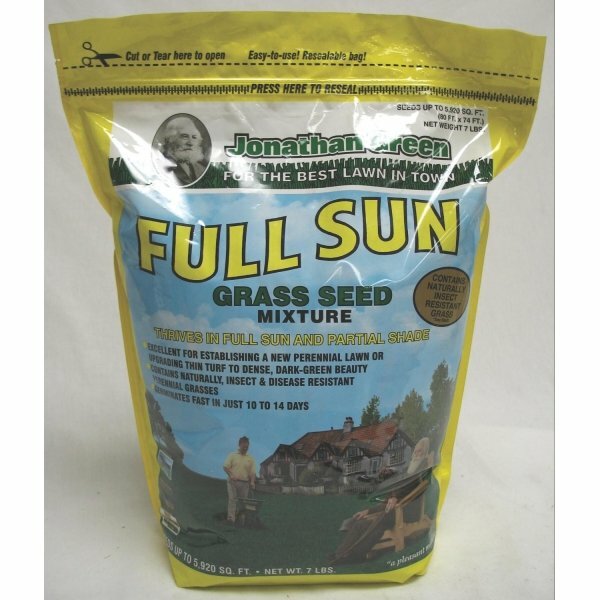 The Full Sun Grass Seed by Jonathan Green that is made with a variety of grass seed that grows well in full sun areas and deters insects from damaging the lawn. 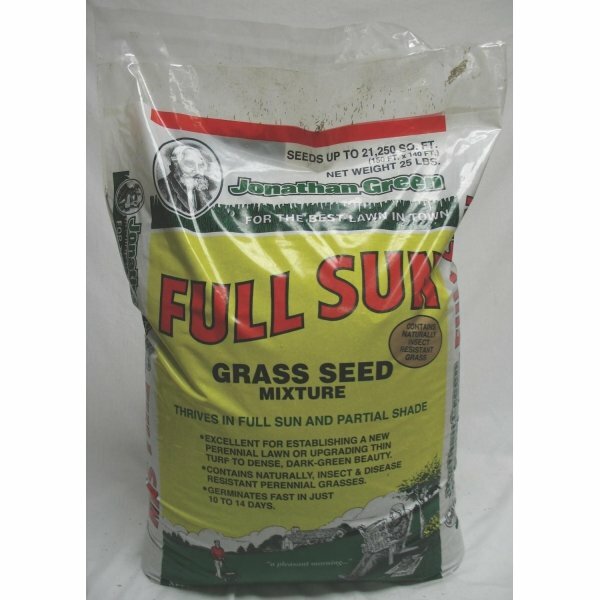 Made with high ranking endophytic grass seeds that is insect resistant. 3-lb - 2,550 sq. ft.
7-lb. - 5,950 sq. ft.
15-lb. - 12,750 sq. ft.
25-lb. - 21,250 sq. ft.